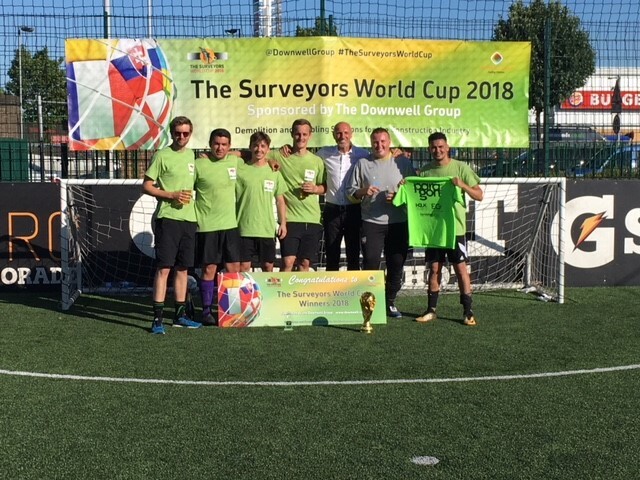 On June 22nd, Downwell Group hosted their fourth annual Surveyor’s Cup, so titled the ‘Surveyors World Cup’. A total of 31 teams took part in the tournament this year, and each team were assigned a country to represent, with Saudi Arabia being selected for Paragon. Fortunately for us, we didn’t follow in the steps of Saudi Arabia in the FIFA World Cup as we made it through the group stages and into the knock out stages with flying colours. The semi-finals saw us play and beat Stace LLP (Croatia), before playing Martin Arnold (Sweden) in an exciting final which ended with a 3-1 Paragon victory. The match was commentated by ex-West Ham Captain and Talksport presenter, Alvin Martin. Despite being a competition, the tournament itself was friendly and a great success. All funds raised from the Tournament were donated to the Free Kicks Foundation – a wonderful charity who provide football related activities for ill, bereaved and disadvantaged children. We look forward to participating again next year!